CertiEye will be attending the Global IP Exchange, on 03-05 March 2014, in Dolce Munich, Germany. The 5th Global IP Exchange is the largest collection yet of senior IP decision makers. Taking place in Germany, 3 - 5 March 2014, this popular invitation only meeting will bring together directors of IP, heads of patent, trademark, brand protection and anti-counterfeiting plus a selected group of innovative solution providers. CertiEye representatives had been the speakers for the the event of "Brand Protection & Anti-counterfeiting" organized by IQPC, on 29-31 October, 2013, in the pre-conference day. 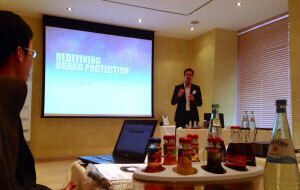 The 8th Annual Brand Protection & Anti-Counterfeiting Conference (29 - 31 October 2013, Munich) is interactive, cross industry forum where you gain the knowledge to implement informed decisions and strategies to minimise brand abuse globally. 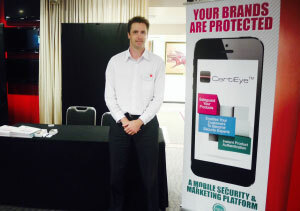 CertiEye had been the main sponsor for the event of the annual conference jointly held by Australian Sporting Goods Association and Australian Sports Technologies Network. The Australian Sporting Goods Association (ASGA) and the Australian Sports Technologies Network (ASTN) invited people from the sporting goods sector to attend the first ever co-hosted conference for sports retailers, wholesalers, researchers, NSOs and entrepreneurs. The Conference was held at Moonee Valley Racing Club, Melbourne, on Monday 14th October. Its theme, "The New Sports Playing Field", is a reflection of the increasing convergence between sports product innovation, sports digital innovation and the sports consumer.